Probably like many of you, I have been a fan of Little Women for a long time. I read it as a child and have seen the movie countless times, but it wasn’t until my most recent viewing that I was inspired to learn more about the woman behind Little Women. I was reading about her on Wikipedia, and when I got to the end of the article, it casually mentioned that she loved running. Say what!? As if she wasn’t badass enough, she was a runner, too? That’s right. 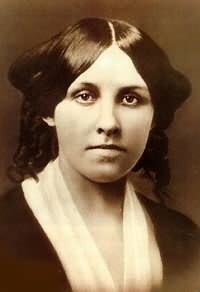 Louisa May Alcott, born on November 29, 1832 in Germantown, PA, was, among other things, a writer, best known for her semi-autobiographical novel Little Women, a suffragette, an abolitionist—and a runner. This is especially noteworthy because at the time, running was thought to be not only unladylike, but also dangerous for women. Fortunately, Alcott was raised by parents who thought otherwise and encouraged their daughters to engage in physical exercise. As her life reflects, she was not one for convention, anyway. She took to running from an early age and loved it so much, never stopped. Running also brought Alcott comfort and strength during trying times as an adult. When she was serving as a nurse in the Civil War, running helped her keep her stamina. She contracted Typhoid during her time as a nurse and later contended with subsequent mercury poisoning from its treatment and other chronic health issues that historians now believe may have been related to an autoimmune disease. Yet she continued to run regularly and encouraged other women to do so as well until she died at age 55 of a stroke. To honor Alcott’s love of running and the Alcott family’s belief in the importance of exercise, each year The Orchard House in Concord, MA, her family home and the setting of Little Women, hosts a 5k fun run/walk and a 10k. Net proceeds support its educational programs and historical preservation. 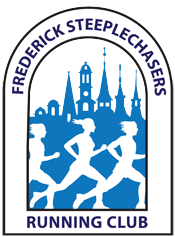 The Frederick Women’s Distance Festival, a local celebration of women runners, includes a Little Women 1k Fun Run for girls 13 years old and younger. We trust Louisa would approve.